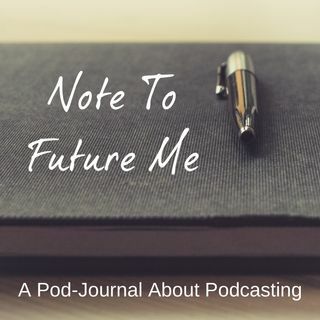 Note To Future Me is dedicated to interviewing businesses and organizations who have implemented podcasting into their marketing strategy. Subscribe to my free weekly Open The ... See More Mic Newsletter at www.circle270media.com. It's chock full of podcast news you may have missed, as well as social media, sales, and audio production tips, as well as insights on how to grow your podcast. Anything that catches my eye that I think you, the Podcaster, should know about.